Dr. James Bainton is a pathologist located in San Francisco, California. He graduated in 1995, at Columbia University College of Physicians and Surgeons. Dr. Bainton specialties are: anatomic and clinical pathology and cytopathology, practicing in South San Francisco for more than 20 years. 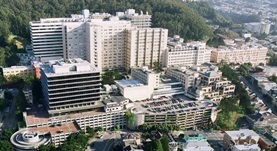 He is affiliate with Kaiser Permanente Medical Center from San Francisco and UCSF Medical Center Parnassus. American Board of Pathology certified Dr. Bainton in anatomic pathology and clinical pathology.